The modular craze just won’t stop. But why should keyboardists and sound tweakers have all the fun? 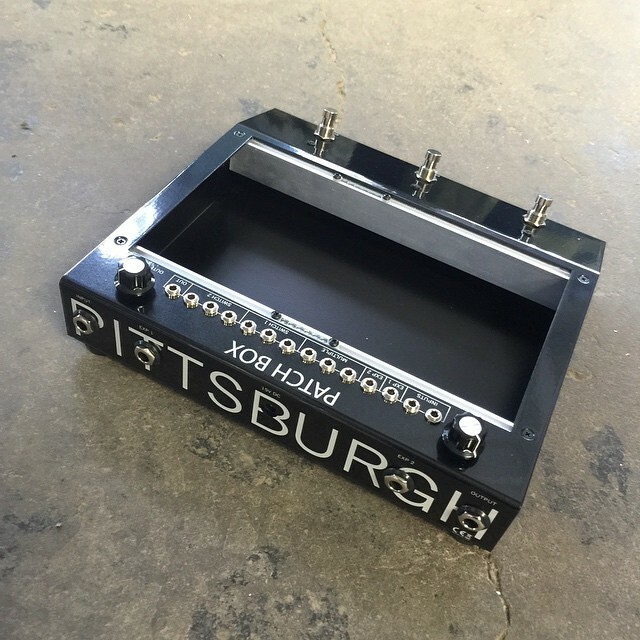 Pittsburgh Modular wants to bring the revolution to guitar stompbox effects. The Patch Box, teased over Twitter and due at April’s Musikmesse in Frankfurt, Germany, is an attempt at that solution. 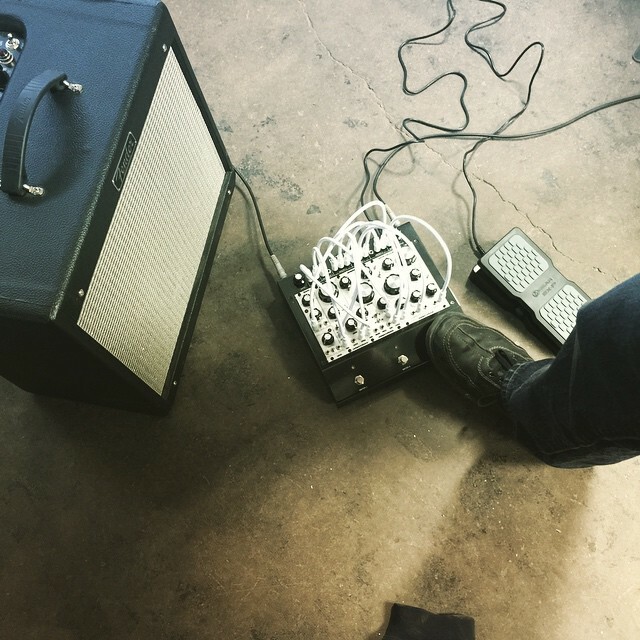 Basically, instead of being a Eurorack bay for your shelf or desk, this is one designed for the floor, to be played by a guitarist or bass player. At the bottom, you get the usual switches. But apart from accommodating Eurorack modules (on their side) on the floor, the key appears to be loads of patch points. So you have, on the top, 14 additional connections for modular control from your feet. They’ve also released some teaser shots with some of their own modules in the bay, but it appears you can use anything you want. It looks like a huge boon to any instrumentalist who needs their hands free. The only problem, of course, is that live patching is more or less out of the question – unless you can plug and unplug a spaghetti of wires with your feet. On the other hand, it can sit on a tabletop while you design sounds, and then be road-worthy when you want to play with what you’ve created. It actually makes me wonder what a digital take on this might look like – neither better nor worse, I think, but a different animal. Then the question is what the interface looks like. This is great for people who want to expand their sonic palette. You can essentially design your own effects, by selecting modules and then create patches. The size could be ideal. I’ve been having this conversation with a lot of people – clearly, a lot of the Eurorack scene is people showing off with big walls of gear. But some of the most musical rigs are the ones that are selective, that give you choices without being overwhelming – hence some lovely suitcase modulars and the like. Here, it seems you have a quantity that would be both musical and portable. It’s all about control. That said, there’s not really much point to coming up with some elaborate modular effect and then only being able to switch it on and off. Here, we need to learn more about how signal flow works and how you’d use it in practice – high on my list when I hit the floor at Messe. But close examination of the patch points and three switches suggest fairly flexible possibility. With expression pedals, multis, and two switches (for separate chains), it seems you could rig some different effects and then actually play them. All in all, this looks to me like the right product at the right time; we’ll just have to hear more details and learn the price. All-steel construction, they say, and open to whatever modules you like – the latter, for me, being the winner. So, see you in Frankfurt, Pittsburgh Modular! Word I’m hearing is, even if you were impressed by the flurry of news from NAMM, this year’s Musikmesse will be a big show for lovers of sound design and synths. And we’ll be there, of course. 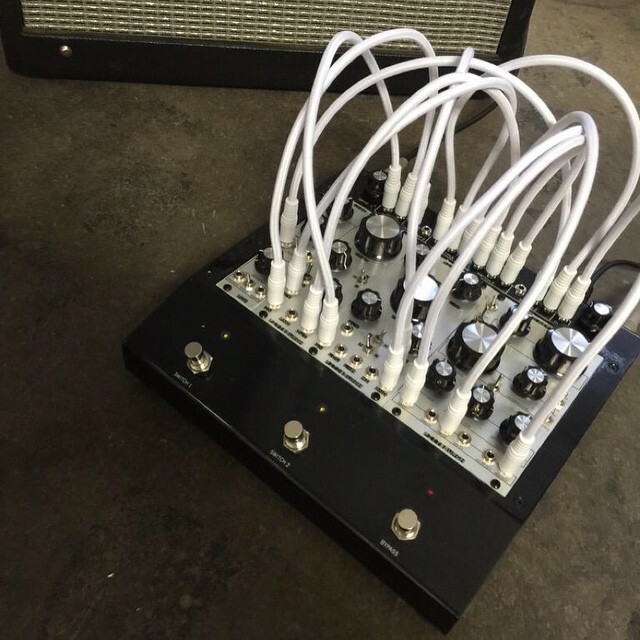 Photos courtesy Pittsburgh Modular / Instagram.